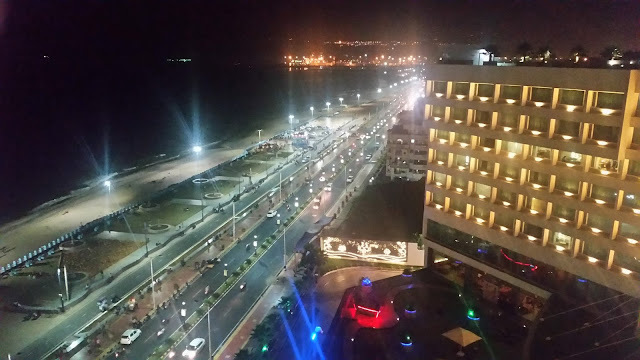 During the last few years food lovers of metro cities have become aware of the cuisine of Moplah or Mapillah community from the Malabar region of Kerala. The mildly spiced recipes have quite a bit of influence of the food of Arabic traders who used to visit Kerala for spice trade in the eighteenth century. Last year, The Park Hyderabad had organized a festival curated by Chef Abida Rasheed which showcased the delicacies from the Calicut region. Now, ITC Kakatiya is hosting a promotion of Malabar food at Deccan Pavilion, their all-day dining restaurant. Curating the festival is Chef Sumaija, who has come down from Calicut for the festival. The chef is an expert on Ayurvedic food apart from the Moplah cuisine. As per Chef, the dishes in the Kozhikode Thalassery area is more of comfort food, unlike other Muslim cuisines which are usually rich. The signature biryani here uses Kaima rice, and not basmati, and hardly uses any spice in it. Due to wide availability in the region, coconut, as well as its milk, are major ingredients in the recipe. Pathiris or local pancakes of all types are also in demand in the region. Invited for a preview of the festival, we were greeted with a drink called Pazham Pal Niravu, a thick plantain-based shake. It was followed by a starter called Turki Pathiri. 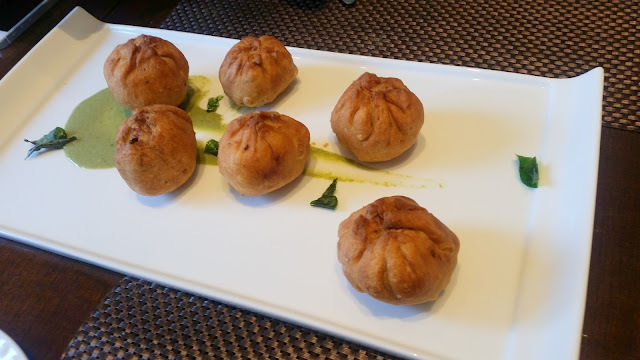 These were fried dumplings stuffed with mutton mince and hard-boiled egg pieces. As you bite into the flour based outer crust, you are exposed to the mildly spiced mince and egg combination inside. The starter is a popular dish during the holy month of Ramzan. 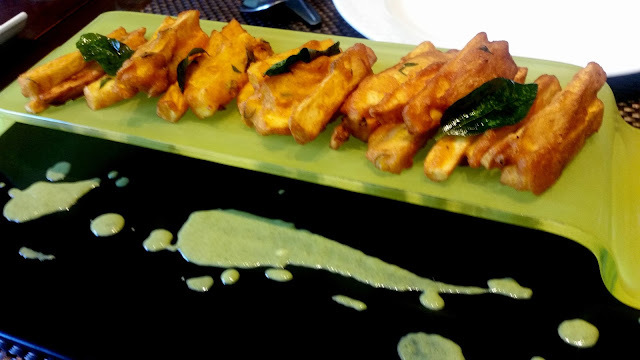 Kozhikaal, the other starter served was basically tapioca fritters. Tapioca is a popular vegetable in Kerala, and this dish tasted like a typical snack which would go well in the evening, preferably with drinks. Kozhi Thakali Varathiyattu was a tangy preparation of chicken served garnished with coriander leaves and green chilies. 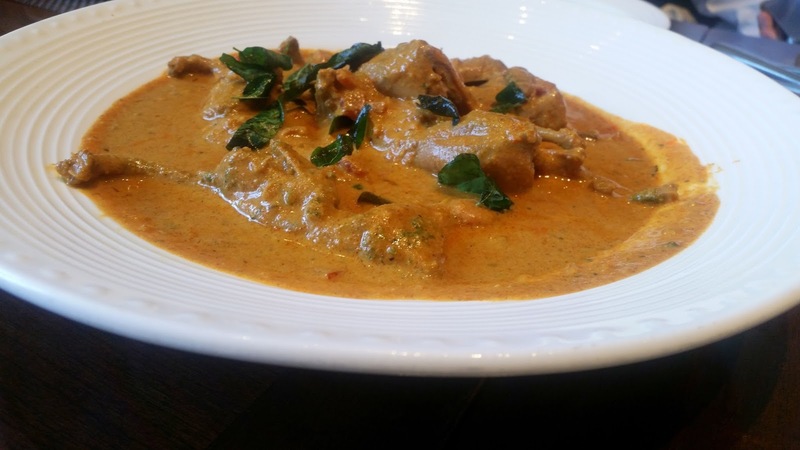 This was a perfectly balanced preparation where the flavours of mild spices complemented the succulent chicken well. For me, this was one of the hits of the evening. At this point, the main courses were served. 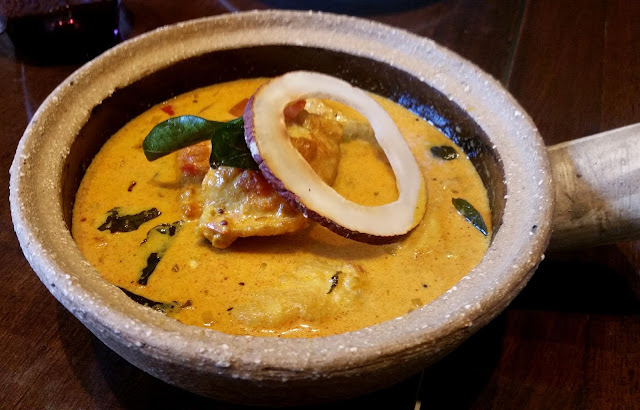 There were two coconut-based curries, Kada Anam a preparation of quail in Malabar spices and Thalassery Fish Curry, a light and fragrant curry with coconut milk and chopped tomatoes. Both the dishes were good with Neyy Pathiri, a deep fried Malabar roti made from rice flour and powdered rice which is one of the most well-known dishes from the area. 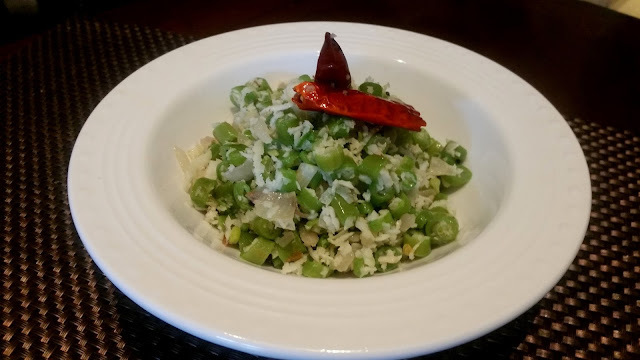 For the vegetarians there were two versions of Malayalee thorans – Bendaka Thoran was okra based, whereas Payar Thoran was a familiar dish of beans and coconut which is popular in almost all South Indian cuisines under local names. A signature dish from the Moplah cuisine is Mutton Kunjuroti, a preparation of rice dumplings with spicy mutton. 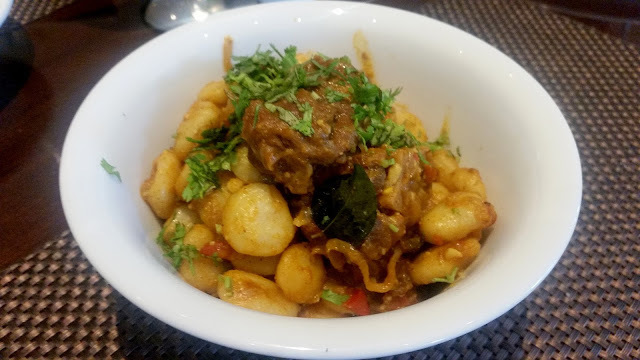 It was quite an innovative dish, where the baby potato sized rice dumplings almost resembling gnocchi tasted really good with the masala on the mutton. And finally, the dish all of us were waiting for came in - Thalassery Biryani. As soon as the lid was opened, the fragrance of the delicate dish was all over. The taste of the biryani really overwhelmed me. 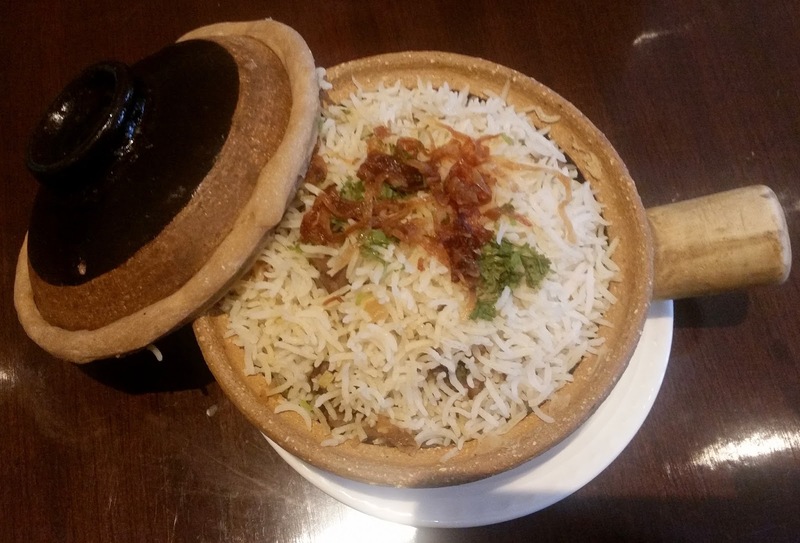 For people who have tasted Khabsa Laham, the Arabic rice and meat dish, the Thalassery Biryani would seem to be a slightly spicier version of the same, substantiating the Arabic roots of the dish. Kudos to Chef Sumaija, I would remember this flavourful biryani without much masala for a long time. The only letdown for me was that long grained rice was used instead of kaima or seera samba rice in this festival, due to the preference of the local populace. I always prefer dishes in their original and authentic avatar. The dessert Kai Pola was again a soft banana cake with cardamom and nuts. 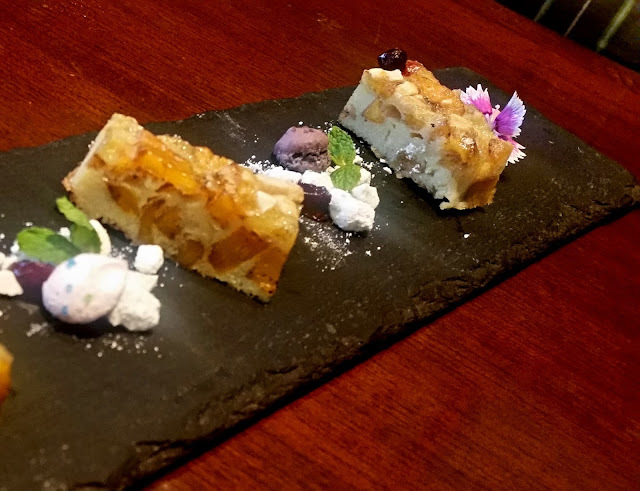 I like desserts which are mildly sweet, and this was one of those. A nice way to end the meal. 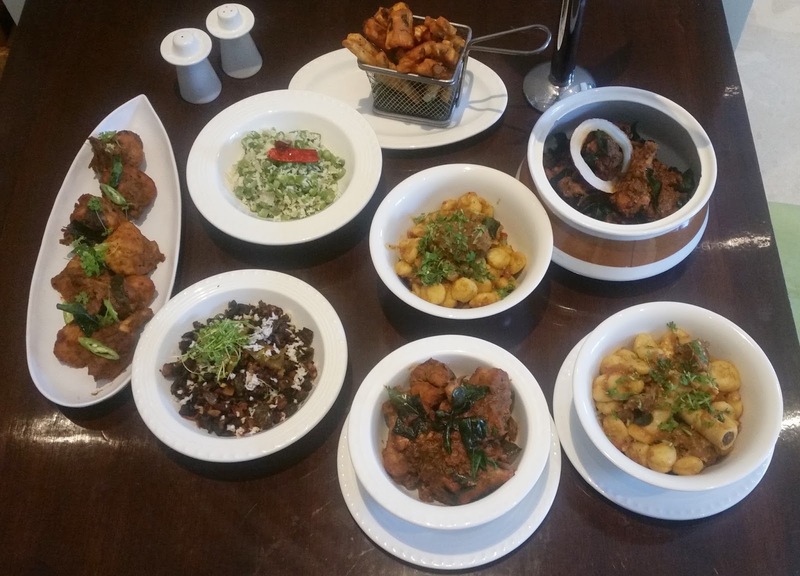 The festival dishes are part of the buffet at Deccan Pavilion, which will also have the usual buffet items. The promotion is on till 16th October only for dinner. There are many other items in the repertoire of Chef Sumaija, and they will all be served during the course of the festival. Disclaimer: The review is based on an invite from the restaurant.